Energy Technologies, Inc. (ETI) offers Tactical Solar Panels to generate power for your mobile electric power and battery charging applications. 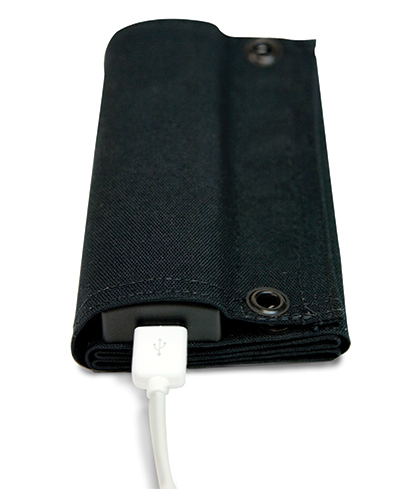 The USB + AA Solar Charger charges most small USB devices. 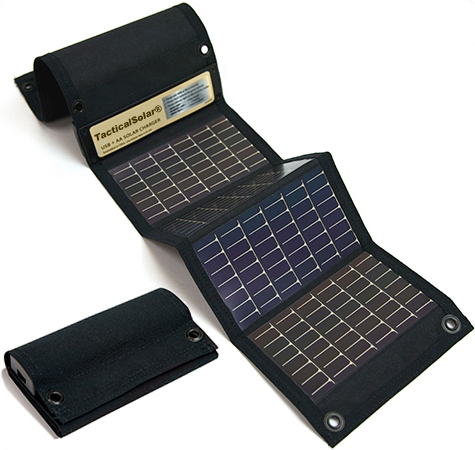 Ultra compact, ultra lightweight yet very durable, the Tactical Solar® AA Foldable Solar Charger is ideal for everyday use. Charging either 2 AA batteries in 3 1/3 hours of full sun or 4 AA batteries in 6 2/3 hours of full sun, the AA Foldable Solar Charger provides highly-effective battery charging. Proprietary charging circuitry maximizes charge into the batteries, and charging lights indicate charging status and charge completion. 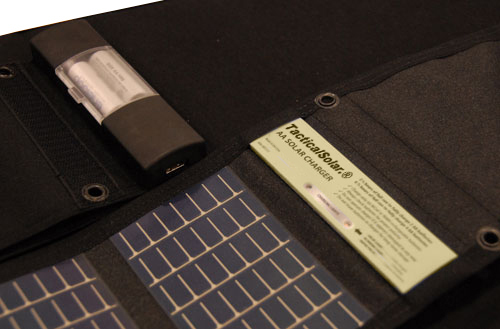 The lightweight and durable PowerFilm flexible solar panels are integrated directly onto the fabric, keeping the weight of the charger to less than four spare batteries. 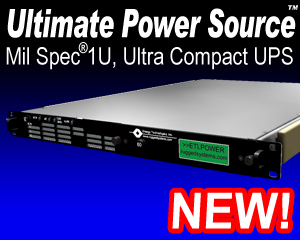 Six grommets are built into the charger to allow for secure fastening to a pack or to the ground.